A nifty shaped sticker book of cute creativity. Bring your favourite Home scenes back to life. Wish you could star in the movie? Would you like to adopt your own Boov? Then grab this book: the next best thing. You’re going to love everything about it. 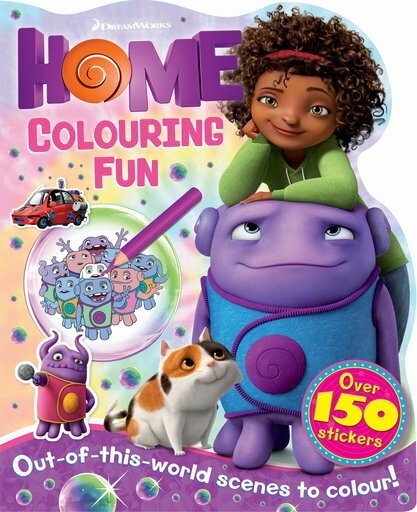 The shape, the pictures, over 150 stickers and all your adorable Home friends. Don’t hang around: colour them in! Plus: can you work out where each sticker goes?